Life is a Highway: Did My Cab Driver Just Rip Me Off? 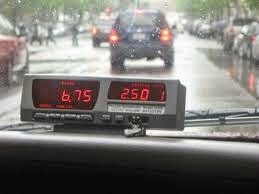 DO know the estimated cost of your trip - and confirm it with the driver before you get in the cab. Ask someone you know who's taken the taxi using the same route as yours. Tip: Download a taxi meter app for Android or iOS. There are several to choose from. The app can calculate the fare of your trip before entering a cab. A real money-saver! 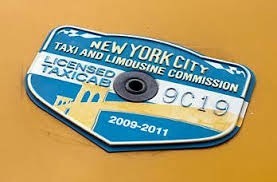 DO negotiate the cost of the fare when you call the taxi cab company. DO tell your driver that you do not want to take the scenic route. DO call your hotel or restaurant, and ask someone to speak to your driver in his or her native language if it seems like you're being taken advantage of. DON'T forget to note the medallion or license number, and report the driver to the authorities if you suspect fraud. DON'T pay with large bills, which invites the "I don't have change" scam. It's better to use small bills and coins in local currency. In defense of all the hard-working taxi drivers out there, there has to be reasons why an employee would want to charge a customer more than what is customary. I found an excellent Forbes article, contributed by Marc Weber Tobias. You can read about it here. Are there other ways to prevent a rip-off? Please leave a recommendation in the Comments section below. It needs to be shared with all of our readers. And please feel free to share via my social media buttons in the right column of my blog page. Sharing is caring, right? Post update! One of my readers recommended the following: " Bring a map.....understand where you are in relation to where you want to go so you can better follow where the can driver is taking you. You don't want so be driven around in circles to increase your fee!" Great suggestion, Anonymous! Also bring a map.....understand where you are in relation to where you want to go so you can better follow where the can driver is taking you. You don't want so be driven around in circles to increase your fee! GREAT SUGGESTION, Anonymous! I'll incorporate this suggestion into my post update.